Growing Representation & Opportunity for Women (GROW), an employee-led program designed to cultivate opportunities to attract, retain, and develop female talent at Fluor Corporation, was named recipient of the 2012 Award for Excellence in a ceremony at the VIP Banquet opening the 15th annual Rice Global E&C Forum. RGF judges cited the GROW program for making a significant contribution to the sustainability of the E&C Industry. Judges determined that GROW’s charter addresses an industry-wide issue that has challenged companies and the program is unique among engineering and construction contractors for its broad scope and global application. Chun Liang, chief engineer of the offshore market sector at Bechtel Corporation and chair of the RGF’s Award of Excellence committee, presented the award to Tricia Thibodeaux of Fluor, who accepted it on behalf of the GROW program. About Fluor Corporation’s GROW Initiative: Fluor created GROW in 2010 to counter the trend of women leaving the industry and to leverage the opportunity to increase business performance. GROW chapters are established in twelve major Fluor offices in the Americas, Europe, and Asia Pacific. 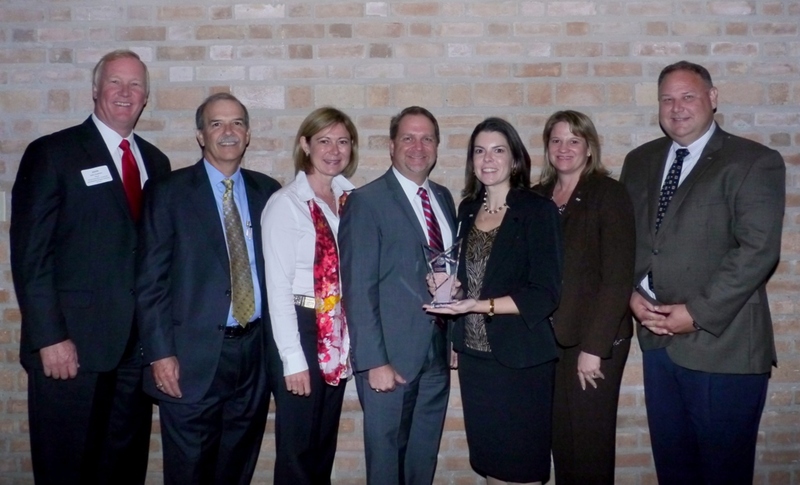 The delegation of Fluor executives on-hand for the presentation of the 2012 Award for Excellence to the company’s employee-led GROW program included, from left to right, John Hopkins, Group President of Corporate Development and New Ventures; Tom Phalen, Vice President; Petra Wagner, Project Director; Richard Meserole, Vice President and General Manager of the Houston office; Tricia Thibodeaux, Global Director of Fluor Supplier Quality and a member of the GROW Steering Committee in Houston; Renee Perry, Project Procurement Director and GROW President; and Jim Wilkins, General Manager of Engineering in Houston.